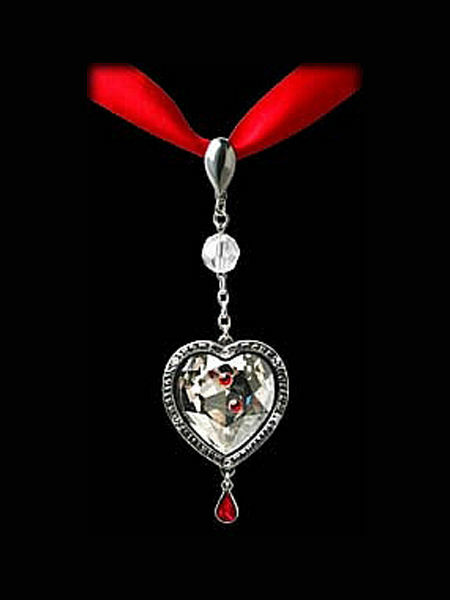 A beautiful and dramatic vampiric necklace from Alchemy featuring a large sparkling heart-shaped Swarovski crystal set in a pewter mount. 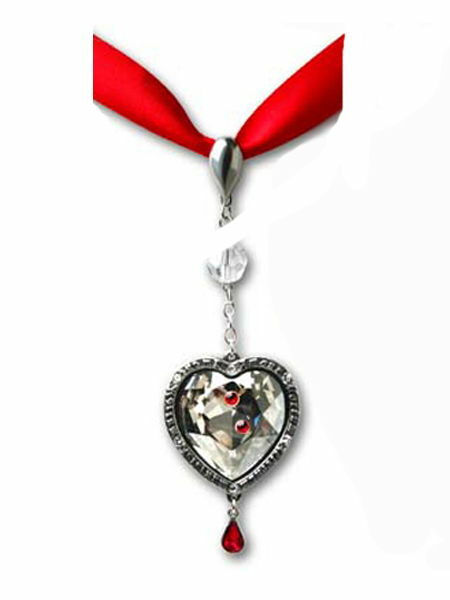 Two tiny red crystals are embedded on the front of the crystal, with a further red teardrop crystal below symbolising droplets of blood. 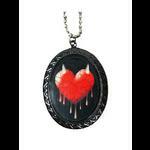 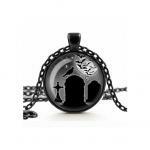 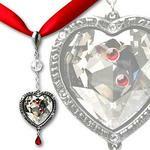 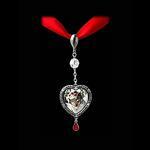 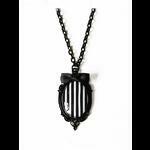 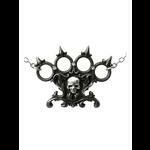 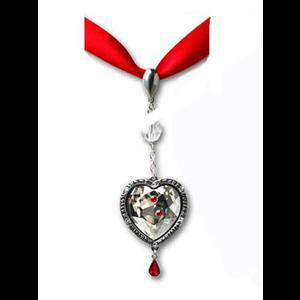 The pendant hangs from a red satin ribbon with a fang clasp, a chain and a round crystal bead.